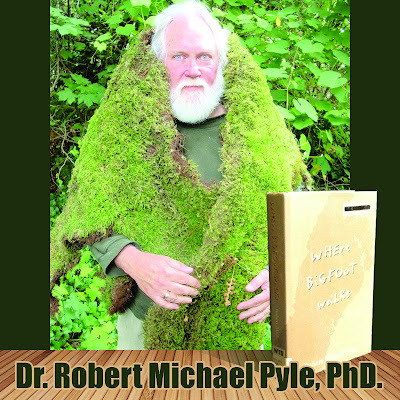 The Bigfoot community needs more people like Dr. Robert Michael Pyle, not just because he is a respected Yale academic, but because he equal parts hopeful and skeptic. Most know Robert Michael Pyle as a lepidopterist, a butterfly expert. He has published twelve books and hundreds of papers, essays, stories and poems. His credentials include a Ph.D. from the Yale School of Forestry and Environmental Studies. It is from these credentials that Dr. Pyle was able to get a Guggenheim fellowship grant to pursue research "where bigfoot walks". His studies were shared in one of the best written chronicles of an area where Sasquatch could live. Last Tuesday, May 20th 2014, I had the honor of listening to Dr. Pyle present on the topic: "Of Butterflies and Bigfoot". The presentation was described as, "The wildlands around Mount St. Helens are famous for the abundance of Bigfoot reports they have generated. Fewer people may be aware that the Gifford Pinchot National Forest is also good butterfly country. Dr. Pyle has researched and written extensively about both of these phenomena. In this program, Dr. Pyle will bring Bigfoot and butterflies together in a fascinating blend of natural history and lore that will open listeners' minds to all that resides (or might reside) in our wild woodlands." 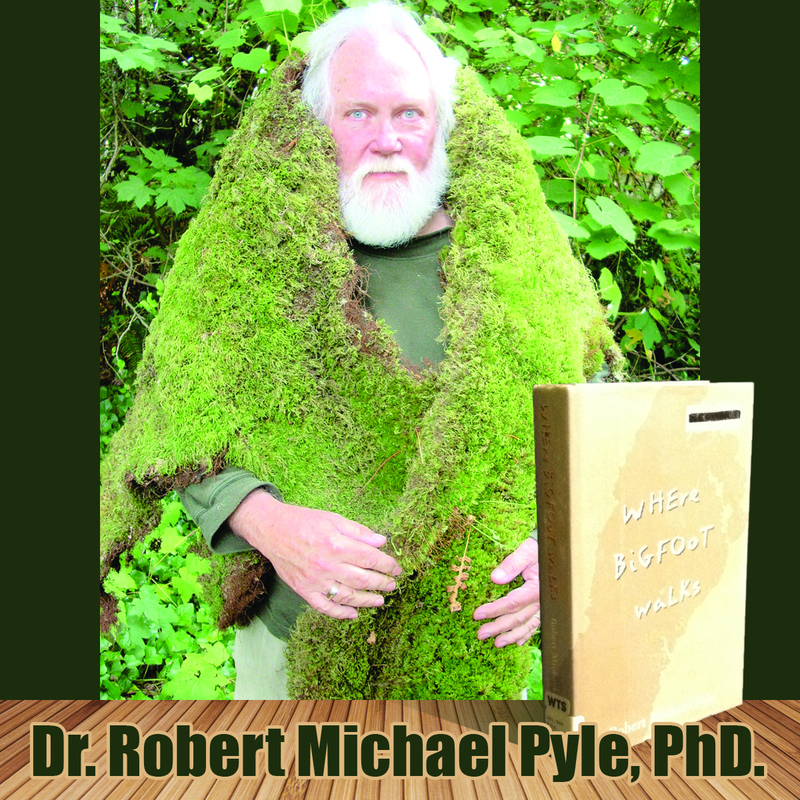 Below is a short clip of Dr. Robert Michael Pyles segue into the Bigfoot portion of his presentation ( a part he calls the dessert). If you are a bigfooter you will find the clip inspiring. It's nice to see a high-profile academic encouraging a room of scientist to pursue Bigfoot research with such reason and heart.